See how maps are being used to show hot spots of biodiversity under threat. Such maps can be used to aid in good urbanization planning to decrease stress on vulnerable ecosystems. Check out the article here. These maps from 2010 show the availability of grocery store locations and also the percentage of people who had a car to get there. The topic of food availability is already an interesting conversation.. is there enough food? Is there enough food, but it just isn’t distributed evenly? Why is healthy food more expense then unhealthy? Why has food become more of a business then of a way to survive? Take a look at these maps, because they bring another problem into the mix! Transportation and accessibility. The information for the maps was collected from the USDA Food Environment Atlas and the maps were created by Meharry Medical College. Climate change is always a hot topic, literally. With the melting of the ice caps, the unstable polar vortex which influences the jet stream, and with temperatures becoming more extreme, it is no mystery that sea level is continuing to rise. We wanted to visualize the threat of sea level rise by making a map that shows the potential projections of how our coasts in New Jersey and New York could eventual look. 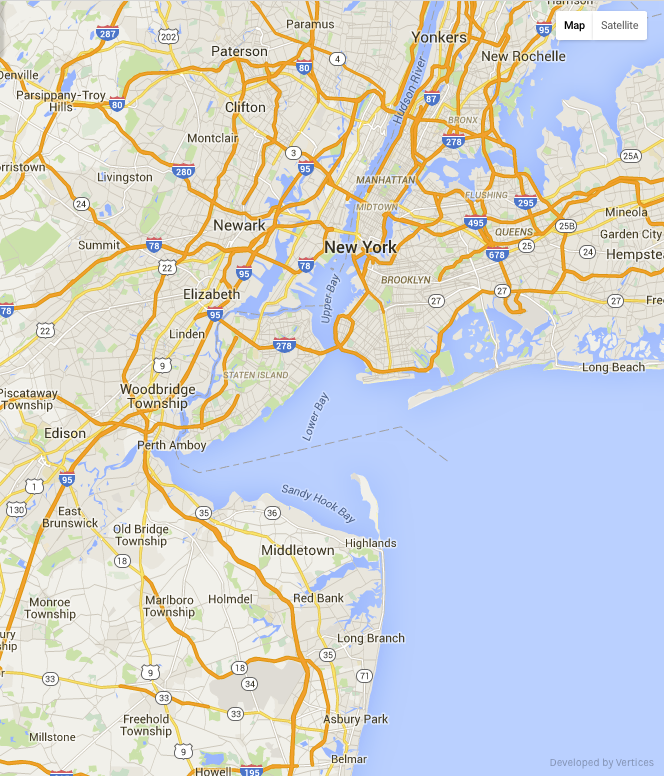 We zoomed in to focus on New York City and the Northeastern part of the New Jersey coastline. 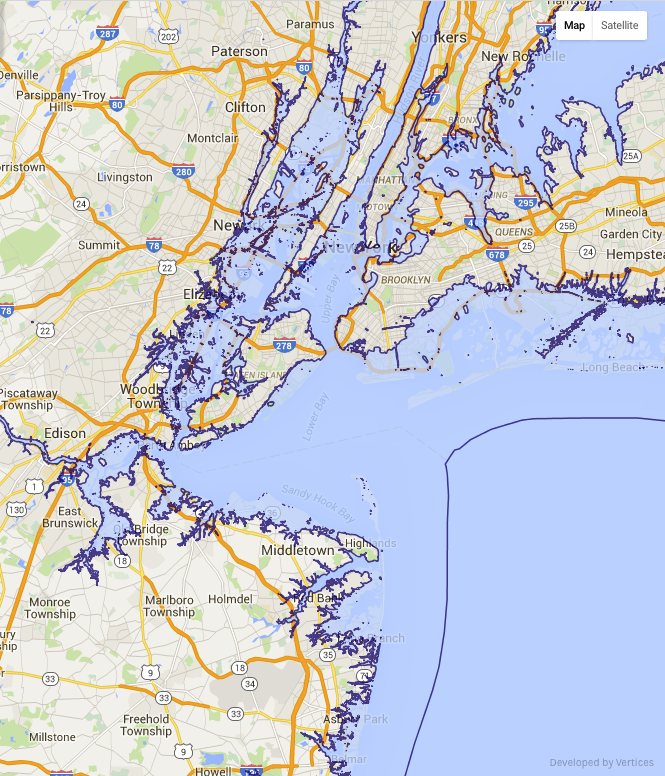 We gathered the information for sea level rise from usgs.gov and then created the map using our Mappler technology. The first image is what the coast currently looks like, with the second and third images showing possible sea level rise projections. Image 2 shows sea level rise projections for 2100 if climate change continues without us taking action. This projection shows a 2m rise, with the dark blue border showing the potential new coastline. Image 3 is the worse case scenario for the year 2100, meaning that this is what scientists are projecting if again no action towards stopping or slowing climate change takes place and if the Greenland ice sheet melts. 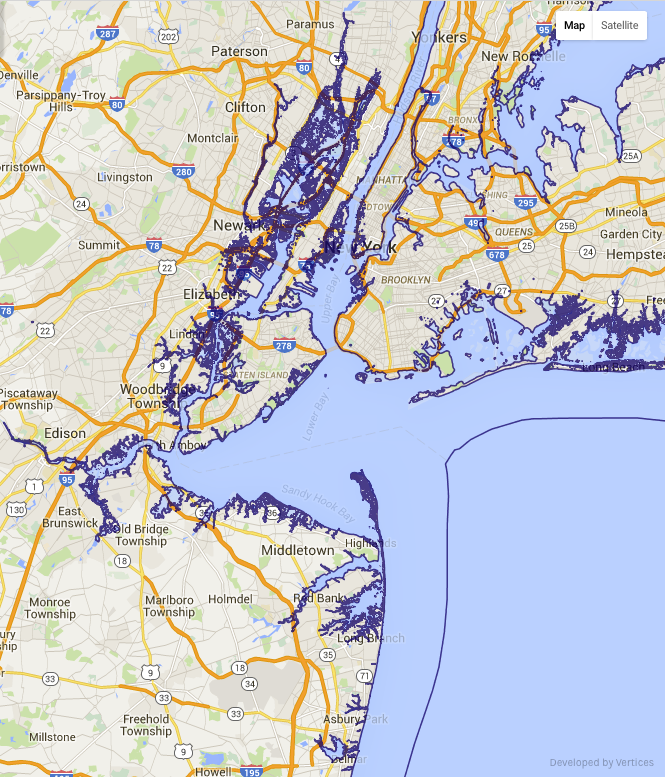 Image 3 shows a 7m sea level rise, and as you can see the land taken is massive. These maps show the scary reality that we could face if climate change is not taken seriously. You think that the population and its growth are bad now? How about when we then have to face displacement of part of the population because land where they use to live is covered in water? 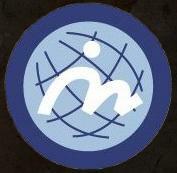 Take action, educate on climate change, and do your part! To see the map and view more of the NJ and NY coast projections click here!